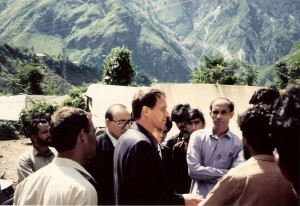 Research on Afghanistan and Pakistan is being carried out by Jan van Heugten and Olivier Immig for many years. They have jointly been working on research projects since 1984, the results of which have been published regularly. From 1984 till 1992 they worked for the SCAR Foundation, later they became co-workers at the Netherlands Institute for South Asian Studies (NISAS) in Amsterdam. In 1982 Jan van Heugten (1957) finished his studies on Modern History at the University of Leiden. 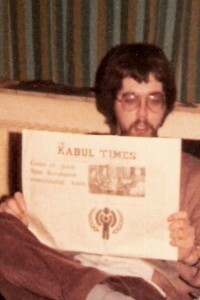 He defended his thesis entitled “De Sovjet-invasie in Afghanistan (December 1979). Een historisch onderzoek naar motieven en achtergronden: Russisch-Afghaanse betrekkingen en de wording van een Sovjet-satelliet” (The Soviet invasion in Afghanistan (December 1979). A historical research into motives and backgrounds: Russian-Afghan relations and the emergence of a Soviet satellite). He studied two subsidiary doctorate subjects. The first one he did was on the studies of the Frankfurter Schule, the second one on Politics and Economics of the Soviet Union. In 1989 Olivier Immig (born in 1952) finished his studies on Modern and Theoretical History at the University of Amsterdam. Next to his thesis entitled “Moderniserings-politiek in Afghanistan 1880-1929. De moeizame gang van bufferstaat naar natie-staat” (Modernization policy in Afghanistan 1880-1929. The long road from bufferstate to nation-state) he studied two subsidiary doctorate subjects. The first one he did was on the origins and development of (systems of) International Relations and International Law, the second one on Political Science, as applied to development states. He finished both courses with a major paper. Olivier Immig & Jan van Heugten, Afghanistan: de Taliban aan de macht , [Amsterdam, Netherlands Institute of South Asian Studies (NISAS)] 2000, 154 pp. Jan van Heugten & Olivier Immig, Pakistan: een kennismaking met politieke ontwikkelingen, islam en cultuur in een jonge natie-staat , [Amsterdam, Netherlands Institute of South Asian Studies (NISAS)] 1994, 146 pp. Jan van Heugten & Olivier Immig, A taste of power: the uneasy reign of Benazir Bhutto, 1988-1990 [Amsterdam, Middle East Research Associates] MERA Occasional Paper no 13, April 1992, 25 pp.